When many different people use the same machine, user friendliness combined with flexibility in program choice is more important than ever. If you just press start, the program used last time will be repeated. In the display you’ll easily see program choice and remaining time. LC display on the front shows the remaining program time, or can be set to show the reached/current temperature during Sani programs. Dishwasher perfectly suited to your needs. If you want to adjust the dishwasher to fit your specific business area, Service staff can adjust which programs are available in the menu. The professional dishwasher has two professional programs, Sani A 85ºC and Sani B 85ºC, which increase the temperature in the final rinse for use where hygienic demands are set high. Sani A increases the temperature to 85ºC for five minutes in the final rinse and Sani B increases it to 85ºC for ten minutes in the final rinse. For heat disinfection these programs meet the EN ISO15883 standard. 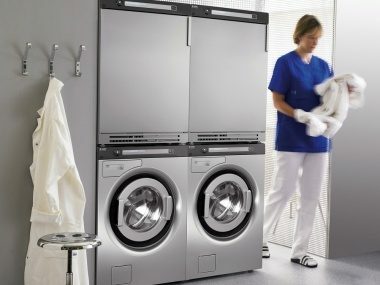 Perfect for ... ASKO Commercial range is suitable for energy companies, institutions/ offices, self-service laundries, cleaning companies, hotels and restaurants, health care, camping/marinas, marine/ offshore and salons/leisure. Long durability Long life tests which equate to around 15.000 cycles of professional use include endurance tests at extra high temperatures, leakage and electricity safety tests. Every detail right down to component level is tested. 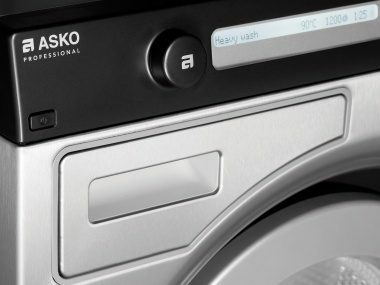 ECO friendly solutions ASKO Commercial washers and dishwashers are all ECO models and can be connected to a hot water intake. 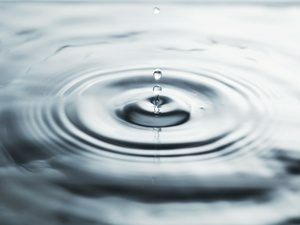 This is ideal when you have an environmentally friendly and economic source of hot water, such as, solar panels or a heat pump.